Woofinwaggle is the human & dog fitness & fun spot in the Raleigh – Durham “Triangle” area for you and your dog. It’s a concept whose time has come … and there’s literally no other place like it, anywhere in North Carolina. Woofinwaggle is the perfect place to enjoy quality time with your favorite 4-legged friend and other dog lovers. We provide a full schedule of fitness classes for people and pooches of all breeds, skills, ages and abilities. 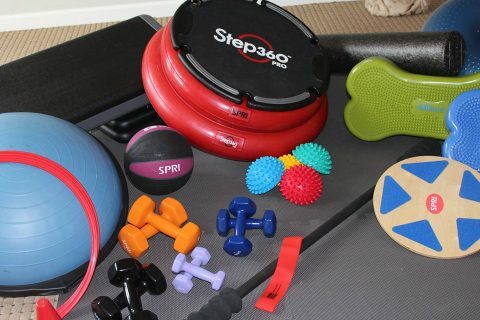 Whether you’re a hard-core fitness freak, or someone who is just looking to expend a little energy in a low-stress environment, we have the program that is perfect for you and your dog. Woofinwaggle is committed to creating a fun, friendly, family-oriented community. In addition to fitness classes, we provide extensive dog wash services (both self-serve and we wash). We create and host amazing birthday parties for dogs of all ages. We have a fully-stocked store, complete with essential pet products, doggie treats, terrific toys and stylish collars and leashes. Best of all . . . there’s always something special going on at Woofinwaggle! From a regular schedule of pet adoption activities, to a full range of themed-community parties, special events (dog pampering, pet photographer, dog care seminars), breed-specific socials, and dog owner mix & mingles, you’re sure to find plenty of excuses to come back to Woofinwaggle on a frequent basis. Be sure to check our website, calendar and Facebook page for the latest announcements, and sign up for our regular updates. We have a well-trained, certified and enthusiastic staff that has a passion for animals and a commitment for caring about your dog. Although our dogs and their parents are the stars at Woofinwaggle, the pros who care for them during your visits are our secret weapon. Why not sign up for a class, or join us for an upcoming event? Or better yet, contact us to arrange for an in-person tour and learn more about all the ways we can be of service to you and your dog. Email info@woofinwaggle.com, call 919-249-WOOF (9663), or fill out our online contact form.